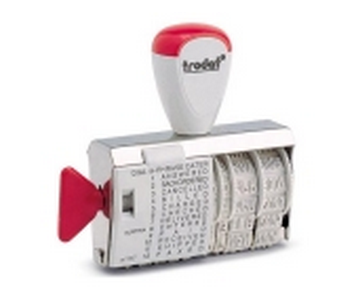 Not every dad may need one of our self-inking rubber stamps for his job, but he might still benefit from a top-of-the-line Trodat stamp this Father’s Day. No matter what his hobby, passion, or favorite activity is, we’ve got the stamp to match – everything from scrapbooking and holiday cards to throwing parties and volunteer functions. Dads take pride in their children’s accomplishments and often wish to immortalize them so that the memories can be revisited at any time. 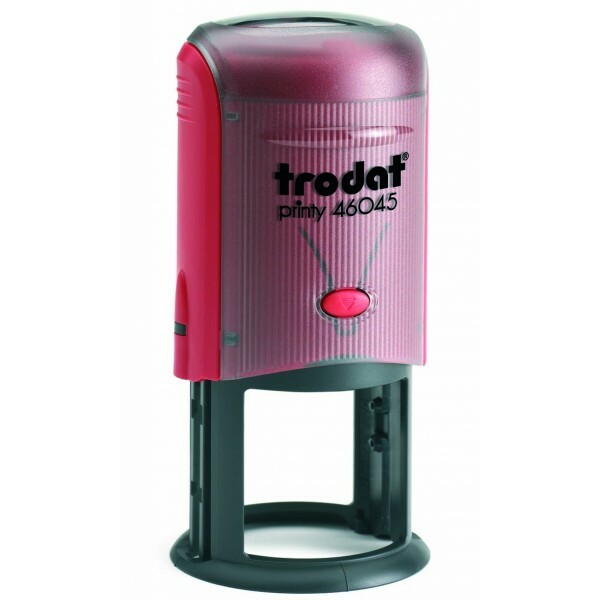 If this sounds like the dad you are looking to celebrate this Father’s Day, then check out the Trodat 46045 Printy Monogram Self-Inking Stamp. This stamp is fully customizable with a wide variety of options on top of being very eco-friendly. Maybe the dad on your list loves keeping friends and family updated with birthday and holiday cards. If that sounds like his style, then we’ve got the stamps for him! The Trodat Printy 4914 and 4926 are some of our most popular rectangular seasonal stamps. If you’d like something a little smaller, you can opt for the Trodat Printy 4642 which is circular. Does your dad like to volunteer for a good cause, perhaps helping out with fundraisers or charity functions? Our special occasion rubber stamps are great for creating event invitations, custom place settings, and even personalized thank you notes. Whether he’s planning events for charities or throwing a New Year’s bash for family and friends, a self-inking rubber hand stamp is a great way to keep track of who is supposed to be at the event and who is not. A personalized event stamp will help him weed out the party crashers and endure that everyone has a good time. 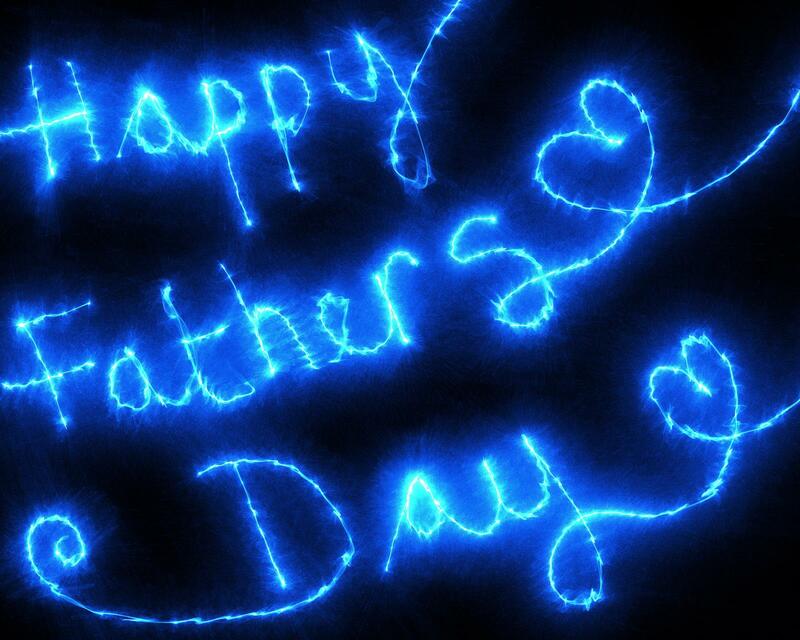 Here at Rubber Stamp Station, we believe that every dad should feel special this Father’s Day. Order one of these great gifts online today! If you would like help ordering one of these stamps or need help finding the right gift for the special dad on your list, give us a call at 1-(850)-7STAMPS. Our rubber stamp experts are standing by to assist in any way we can. This week wraps up part 3 of our updated comprehensive guide to Ultimark stamps. 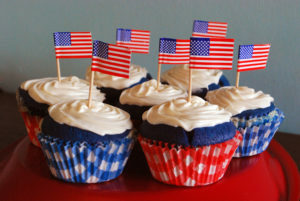 Here are seven more Ultimark stamps your office can’t do without! Different occasions call for different stamps and sometimes a traditional rectangle just won’t cut it. Ultimark has you covered with the Ultimark UM-28 square-shaped stamp. The UM-28 provides 1-13/16 x 1-13/16 inches of space for occasions when space is limited. A full array of customization options are available, including 5 colors and an extensive library of fonts and logos. A slightly lengthier version of the popular UM-26, the UM-30 provides 1-13/16 x 3-13/16 inches of space. It comes with our standard customization options including custom ink colors, fonts, and logos. Not every stamp needs to be a rectangle or square! 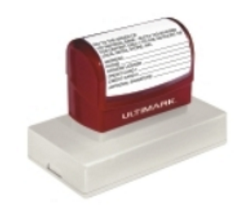 For a custom graphic or message layout, check out this Ultimark UM-32 pre-inked office stamp. The UM-32 provides a unique 2-5/16 x 2-13/16 inches of space and one-of-a-kind customization options. It you want to leave a BIG impression, there is no better choice than the UM-34! The UM-34 boasts 2-15/16 x 3-15/16 inches of space – plenty of room for graphics, text, and logos! Mark your paperwork in style. A full array of customization options is available. Sometimes a square or a rectangle just won’t do the trick. That’s why we carry Ultimark’s circular pre-inked office stamp, the UM-17R. With a 5/8 inch diameter, the UM-17R is compact and professional while still getting your message across. Available in custom colors and fonts. With more space than the 17R, this Ultimark pre-inked office stamp is a great option for circular graphics, logos, or text formatting. With a 1-3/8 inch diameter, this stamp provides more room for custom graphics and logos. Available with our full array of customization options. For when you just need that extra space to get your message across, this Ultimark pre-inked office stamp can provide plenty of space for your graphic or text. With a 1-3/4 inch diameter, there’s no other stamp that comes close to the UM-45R’s quality. Available with custom colors, fonts, and graphics. And that’s it for our updated comprehensive guide to Ultimark stamps! If you have any questions about our Ultimark rubber stamps, don’t hesitate to give us a call at a 1-(850)-7STAMPS where our rubber stamp experts are standing by to help you with all of your rubber stamp needs! For more information on our Ultimark pre-inked stamps, check out part 1 and part 2 of this comprehensive guide to Ultimark stamps. Scrapbooking is the art of preserving memories for future generations to look back on. In this digital age, there are dozens of websites and smartphone apps that allow you to store your images and mimic scrapbooking, but for the true scrapbook enthusiast, these’s no replacement for the time-honored tradition of recording photos and memories on paper. If you really want to bump up your scrapbooking hobby, you must have quality rubber stamps. If your on the hunt for some, you’ve come to the right place! Rubber Stamp Station is your #1 source for fully customizable stamps of all kinds. Fully customizable! Do you have your own graphic or logo you want to use throughout your scrapbook? Upload your own graphic or choose from hundreds of hobby-based images in our expansive logo library! Finish it off with custom text in 13 different fonts. Eco-friendly! We are proud to say that this Trodat stamp is climate-neutral, as is standard for Trodat products. You can rest assured knowing you are buying responsibly. Scratch and fingerprint resistant! No need to worry about ruining your stamps with scratches or fingerprints. Our high-quality Trodat stamps are scratch and fingerprint resistant to help all your stamping projects run smoothly with the best results. Self-inking! 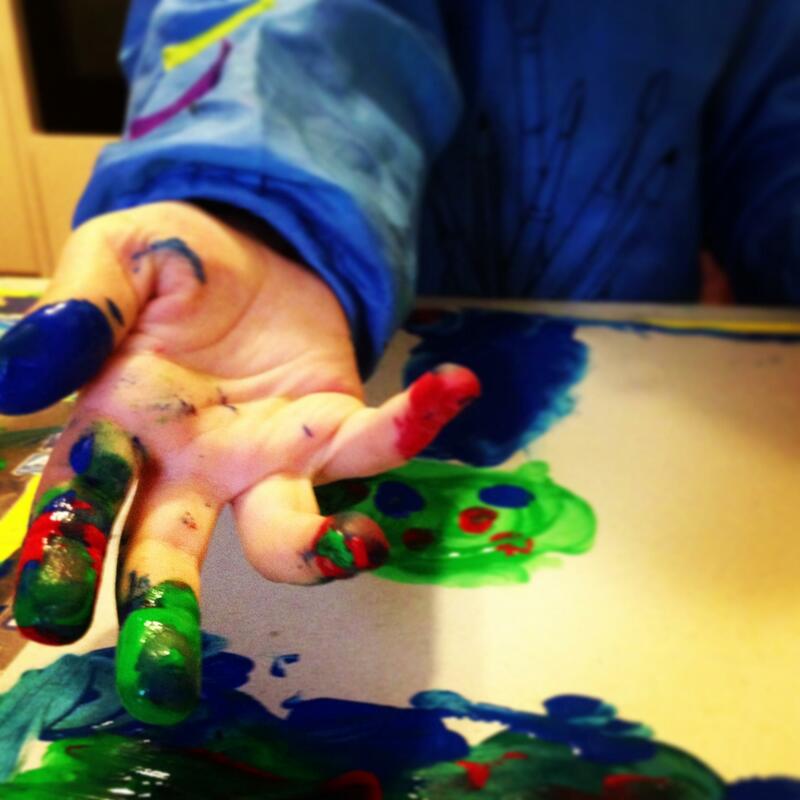 Messy ink pads are a thing of the past! 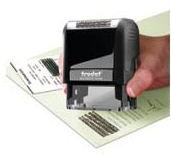 With our Trodat self-inking stamps, you can get thousands of impressions out of your self-inking stamp before it needs to be re-inked. And when it’s time for a replacement ink pad, the 6/46045 Replacement Pad is just a click away. Order Your Scrapbooking Stamp Today! Up your scrapbooking game with this awesome self-inking stamp, or any of the customizable stamps on our website! With so many options, you may have a few questions along the way. If our video tutorials don’t help, give us a call 1 (850) 7STAMPS and we will be happy to help with all your rubber stamp needs. Thanks for stopping by! Don’t delay re-inking. It’s important that you don’t keep using your stamp once the impression starts to fade. Letting the stamp get too low on ink may interfere with its ability to properly absorb ink moving forward. Make sure you choose the correct ink for your stamp model and type. For instance, if you’re using the Ideal 200 self-inking stamp, purchase ink that says it is for use in this stamp in the description. As a rule of thumb, only oil-based inks should be used in pre-inked stamps and only water-based inks should be used in self-inking stamps. Using the incorrect formula for your stamp type can damage it and may even render it unusable. Re-ink your stamp using the same ink color you were using previously. For both pre-inked and self-inking stamps, switching to a different ink color isn’t a good idea. There will probably be some of the old color left and it will blend with the new one, likely leading to a less-than-desirable color. Check the ink pad. In addition to re-inking, keep in mind that you may also need to replace the ink pad if you have a self-inking stamp. These pads can wear out naturally over time with use. Slowly add ink to pre-inked and self-inking stamps. Adding just a few drops at a time will prevent overfilling and keep you from wasting ink. If you accidentally add a bit too much, gently dab it off the surface using a paper towel. By following these tips and tricks, you’ll keep your self-inking and pre-inked stamps in top condition, allowing you to use them for years to come. Need Stamps? Look No Further Than RubberStampStation.com! Knowing how to care for pre-inked and self-inking stamps won’t do you much good if you don’t have these products in your collection of office supplies. Luckily, Rubber Stamp Station sells both stamp varieties for up to 50% off the list prices! If you’re ready for a convenient and user-friendly stamping experience, head over to our website to view our wide range of Trodat self-inking and pre-inked stamps. Looking for some clarification on the differences between pre-inked, self-inking and traditional rubber stamps to help you decide on the right product for you? Check out our recent blog post or call 1 (850) 7STAMPS to get an explanation from one of our friendly representatives. We’ll also be happy to help you place an order online or by phone. We look forward to making your life easier with high-quality stamps at unbelievable prices! Now more than ever, identity theft is a major threat to people everywhere. According to a 2017 study by Javelin Strategy & Research, a total of $16 billion was stolen from 15.4 million identity theft victims in 2016 alone. What’s more, the face of identity theft is changing. Since the introduction of hard-to-counterfeit microchip credit cards in 2015, thieves have largely turned their efforts to new account fraud, or opening new accounts using someone else’s personal information. Prevents theft via dumpster diving – While it may seem farfetched, many identity thieves actually do root through trash cans, recycling bins and dumpsters when no one is around in search of bills and documents that disclose personal information. Some examples are hospital bills, credit card offers and statements, receipts, and legal documents. With an identity theft protection stamp, you can make your name, address, and other information unreadable to ensure that even if an ill-willed individual finds your mail, they won’t be able to do anything with it. Offers a safer alternative to shredding – Shredding may seem like a good method of destroying documents that include your personal information, but the reality is shredders are messy, noisy, and potentially dangerous for children. By opting to use an identity theft protection stamp instead, you’ll save time and space while keeping your family out of harm’s way. Allows documents to be recycled – Another issue with shredding is that it creates paper scraps that often cannot be recycled. Stamping is a more eco-friendly option because it doesn’t compromise the recyclability of papers. Provides a sense of security – Last but not least, using an identity theft protection stamp to black out your sensitive information on mail and documents will allow you to rest assured that no one can steal your identity by rooting through your garbage or otherwise obtaining your papers. Looking for more identity theft prevention strategies? Check out our past blog post! Would you like to greatly reduce your risk of having your identity compromised? It’s time to purchase one of our high-quality, easy-to-use identity theft protection stamps! To do so, simply log onto our website or give us a call at 1 (850) 7STAMPS. We look forward to helping you avoid the major headaches that come with having your identity stolen. Equip Your Kids with Back to School Rubber Stamps! Permanent Clothing & Fabric Rubber Stamps – This type of back to school rubber stamp is an absolute must, especially for kids who are known to misplace things. Using this tool, you can stamp your child’s name, address and phone number on any fabric surface, from a backpack to a gym uniform to a lunchbox. This way, if an item gets lost or accidentally swapped, the person who discovers it will know who to return it to. Name Stamps – Another product that will benefit your child is a rubber stamp with his/her name on it. Students are expected to write their name on papers countless times each day, so having a name stamp will save your young learner time and effort. This stamp will also come in handy when your child needs to add his/her name to the inside cover of books, as it will create an impression that can’t be erased or misread. Plus, designing a custom name rubber stamp complete with your child’s favorite logo, font, and ink color will get his/her creative juices flowing! Planner Stamps – Does your student need some help keeping track of homework assignments and other responsibilities? Planner rubber stamps make it fun to stay organized! In our logo library, we’ve got a variety of images that your child will be excited to use on his/her weekly schedule. Perhaps you’ll order a stamp with a food-related image to remind your child to pack lunch, or maybe it’ll be a protractor logo that brings to mind the math homework that’s due the next day. The possibilities are endless with these made-to-order back to school rubber stamps! As you can see, there are many practical uses for back to school rubber stamps. Looking for more rubber stamps that students love? Check out our post on yearbook rubber stamps – it’s never too early to order them for next summer! Save Time & Gas – Order Rubber Stamps from Home! Here at Rubber Stamp Station, we know that back-to-school season can be exhausting. That’s why we make it easy for our customers to purchase back to school rubber stamps and other essential supplies from the comfort of their own home! That’s right – just place an order directly from our website or by calling 1 (850) 7STAMPS and we’ll ship your products right to your doorstep. The first day of school is almost here, so don’t wait – order back to school rubber stamps now! We can’t wait to show you why we’re known for being the rubber stamp source that offers superior quality and service!